Registration Portal 15th Annual Conference open! The 15th IMISCOE Annual Conference will take place in Barcelona, 2 – 4 July 2018. 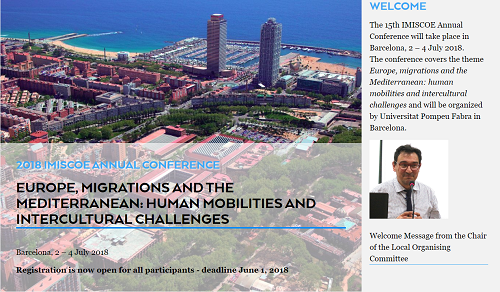 The conference covers the theme Europe, migrations and the Mediterranean: human mobilities and intercultural challenges and will be organized by Universitat Pompeu Fabra in Barcelona. Upload your paper via our conference portal! The upload-options to upload your paper online are now available via our conference-portal or with this direct link. Please log-in on the imiscoe-website and upload your paper before the 1st of June. To be eligible for the Rinus Penninx Best Paper Award, you have to upload your paper via the website or send your paper to the chair of your panel before the deadline of 21 May 2018. In March the IMISCOE-led H2020 project CrossMigration has started. 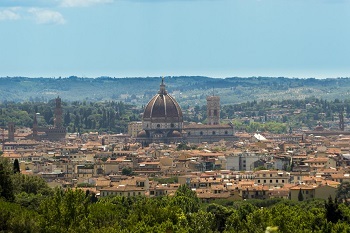 The project aims to strengthen the research infrastructure for migration studies in Europe, to develop an interactive migration research hub, and to promote systematic knowledge accumulation on topics of migration and diversity.